I usually try to sleep by 11pm but I’ll admit it’s not an easy thing to achieve. However, I have one major motivation that will immediately send me scrambling for my bed in no time and that is, I don’t want to develop any more pigmentation on my face! 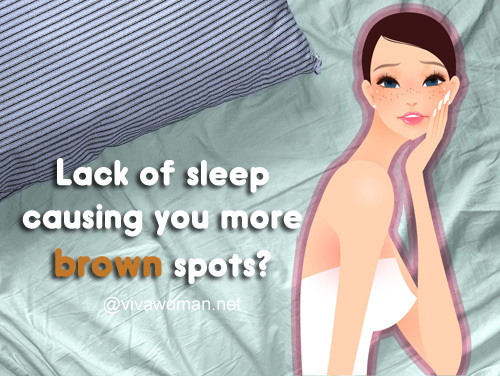 Yes, lack of sleep will cause those ugly brown spots to proliferate! Â I don’t know if scare tactics work for you, but this certainly works for me! While UV light exposure is one of the main causes of dark spots on the skin, there are many other factors that can contribute to skin pigmentation such as diet, health or lifestyle. Â Lack of sleep, apparently is a major contributor because it can wreak havoc at different levels. One, it causes poor blood circulation and this results in a lack of oxygen in the blood and hence, this can also cause skin pigmentation, dark spots or blotchy complexion. Next, sleep deprivation can increase stress hormones that causes skin pigmentation. One such hormone I read about is the adrenocorticotropic hormone, which causes an increase in skin pigmentation (source). Â And according to a report published at NCBI, adrenocorticotropic hormone released by stress may activate tyrosinase in melanocytes, resulting in the augmentation of ultraviolet-induced pigmentation. In addition, in one of my older posts about 5 things to know about your skin at night, I’ve mentioned that melatonin is a natural hormone made by your bodyâ€™s pineal gland andÂ your body produces more melatonin when it is dark.Â Melatonin does several things for us and some researchers believe that melatonin is also able to suppress ultraviolet (UV)-induced damage to skin cells and shows strong antioxidant activity in UV exposed cells (source). Â This means that sleeping earlier at night will encourage more melatonin production. So if you’re wondering why your face is still getting pigmentation despite being diligent about sun protection and slathering plenty of whitening products, maybe it’s time to have an early night. I tried once to go to bed early (10:30 PM) and sleep for 7:30 hours. And each morning for breakfast I made a smoothie packed with fresh fruits (orange, banana or apple, strawberries, lemon…) and I noticed a great improvement of my skin, especially brightness. 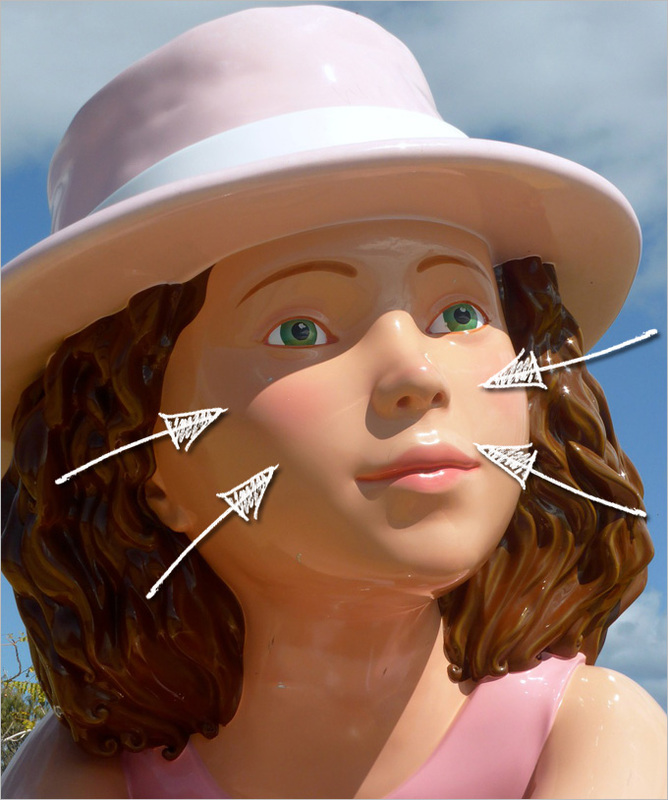 Mother Nature proved to be efficient skincare-wise! I woke up easily but I felt tired in the evening (weird). Oh noooo. I never knew. I thought sleeping late only causes high blood pressure and weight gain. Extra motivation to leave work till tomorrow. Sleeping late wreaks havoc on our skin generally – skin becomes oily, acne issues for some and also pigmentation for those more prone to it. Whatever causes health problems will manifest issues in the skin as well. This is definitely true for my case. Whenever I lack sleep for consecutive nights, I become generally darker. My pigmentations also become even more obvious. Try to turn in earlier then. Generally, late nights are not great for our skin. I started going to bed at 10pm or so because I needed to be up at 5.30am for my new job and I still wanted the 7.5 hours of sleep needed for weight loss (which is completely true btw). Good to know it is also helping my skin! That’s great! I hope to sleep earlier too cos I have to up around the same you as you…okay, I shall! I look a mess when i’m sleep deprived. My dark spots are darker, my skin looks dryer and thinner, I get lines…apart from that my face even looks different not just my skin…I thought I was nuts but I took pictures and I was kind of blown away. I’m probably on the extreme of the sleep deprivation spectrum though because on top of that, I put alot of stress on myself. Yes, for the sake of your health, you should sleep earlier and also make sure you’re sleeping enough. When your health is good, it’ll translate to better skin. wow….good to know this too and yes, I have noticed that whenever I got to bed at 10, I wake up with a beautifully plumped up skin next day but going to bed at 10 is so rare!!! and, I do try to go to bed early but I often end up not getting any sleep and staying awake tossing in the bed till late nights!!! guess, I am getting a bout of insomnia. but, yes, a proper sleep does make the body work properly. I would love to be able to go to bed earlier…10pm is ideal! I never knew that! Gosh and I have pretty bad freckles myself so I’m definitely not helpin by sleeping late. Time to hit the sack early tonight! Haha…yes, you should log off! Your great comments about skin is very effective and amazing to those who are suffering but it will be more interesting when you will observe by beauty videos where I have included the all same as your solutions. So thanks a lot to you about your product. My skin is prone to dullness and I guess it had to do with my late nights. Skin does get oiler and acne-prone. I’m the sort who gets irritable bowel syndrome when I sleep late for a period of time. At its peak, I get diarrhoea daily and constantly felt exhausted. Hmm…sounds like a tired liver to me. You gotta rest more so that your skin will look better. What tome at night do you consider early or late? And approximately how much sleep should we get daily to have brighter looking skin? Sleep around 11pm or earlier. I have this dark , no….they are more like brownish spots on my arms. I usually sleep by 12 – 1 am and wake up at 11, but not that straight sleep. Is this cause the spots on my skin? And additional info I’m always at home.Could be lack of sunlight cause this? Pls reply . I’ve been noticing that more brown spots have been appearing my face due to my lack of sleep. I was wondering if they’ll ever go away— or are they permanent was they’re visble?! I normally average around 4 hours of sleep a night! Try to get more sleep…it’ll definitely do your skin and your health good. I will try to get more sleep! But I have one more question: Will my brown sports disappear or fade away after sleeping early on a daily basis? You might need help from some products. Sleeping earlier will help prevent future spots.